As the nation’s freedom is celebrated on July 4 with revelry and fireworks and parades and merriment, domestic and personal threats are at the back of many peoples’ minds. Security is always a pressing concern. 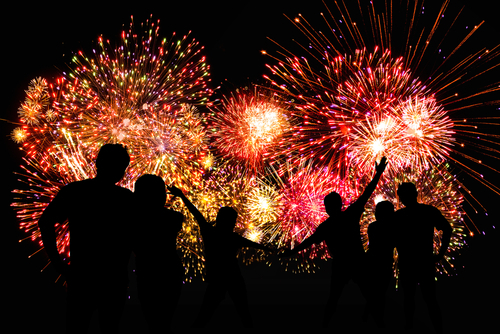 Whether your event or facility is hosting a large or small number of people for this summer holiday, take Fourth of July precautions from Korner Security guards to help keep your patrons safe and make this occasion memorable for them, in only good ways. Security guards are valuable not only for the skills they offer on the day of an event, but for what they enable businesses or facilities to do before the big day. Promoting Fourth of July activities, events, and celebrations via social media and other methods of publicity are necessary to increase attendance and build excitement and anticipation. What you may have not considered as a selling point of your event, however, is security. Making it known that you will have a robust level of Korner Security guards in place will turn your event into the place to be on July 4th. You will be known for giving attendees and patrons the feeling of trust that they will be safe while having a good time on Independence Day. When holidays and alcohol are combined, even if the occasion falls in the middle of a work week, you can anticipate that there will be a mixed bag of behavior. Having Korner Security guards as part of your crowd control will improve attendees’ experiences, and make them feel secure from barbecue to parade to fireworks. Heavy monitoring of popular firework viewing spots. Placing guards strategically along parade routes. Checkpoint sites for bag searches to prevent unwanted items entering the venue (such as personal fireworks, glass containers, alcohol, and illegal substances). Installing security camera and surveillance systems where appropriate. Having seen and unseen security inside and outside the premises. Employing unarmed and armed security guards. Patrolling crowds for suspicious behavior or activity. Taking care of the people who are on-site at your venue is essential, but there are even off-site advantages that will trickle down from a secure event. For example, the Fourth of July is a brutally dangerous holiday on Michigan highways. Security guards can help monitor the entrance of alcohol to a facility and, for those who have consumed too much alcohol, be tasked to delay inebriated guests from hitting the road after a celebration. Strength in numbers helps keep patrons safe. And extra security measures ensure that attendees will have the confidence to truly relax and enjoy Independence Day. You can never have too much security in today’s volatile society. Contact an expert at Korner Security to review your security needs. Have a happy Independence Day!